we have seen your announcement in the past days regarding the new Seller advisory board. We must say, we are greatly disappointed. While we appreciate a new way of getting in touch with sellers, we think the duties of such advisors far exceed any due commitment to the community. As members of the Etsy Italian community, we feel furtherly mocked, as we wonder why, once again, there's no office nor country manager for Italy (or Greece, for that matter). These are countries where the communities have been SO active for years now. Instead of thinking of how to help grow such markets, you're asking sellers to do even more and in fact, to work for Etsy for free. Where are your ethics? Where is your humanity, honesty, and fairness? Until this moment we appreciated Etsy, because nothing was ever asked of us and whatever we did, we did it for the love of handmade and our communities. We could disagree or not with your gradual abandonnment of the indie handmade philosophy. We could grimace at the almost non existant fight (or rather allowance) to copyright infringement and reselling however we understand how difficult a task it is and how profitable the presence of such sellers on your platform is. We were frankly disconcerted at your lack of action toward the recent declaration of USPS not tracking mail from many countries, which affects so many European Shops. We were worried when you announced the Local purchasing news for UK and Australia, as we think buyers must decide by themselves from where to buy, and you might be aware that UK and Australia are good markets for shops all over the world. We cannot bear the fact that Italy, where design and craftmanship are paramount in culture and economy, is considered less than other markets. We are aware that Italians don't buy online here, BUT at least you may wonder why Google, Amazon, Samsung have been reserving special attention to the Made in Italy. We export, we attract foreign buyers, we are a huge market in that sense. It seems that Etsy is the only platform that hasn’t seen the opportunity, the one marketplace that could have been a chance for so many designers, crafters and, since the policy change, small and medium artisanal entreprises to open to an international market. Etsy has lost this opportunity, and this is in its right as a firm however is it in its right to ask for sellers to do the job it should do? We think this Seller advisory board is too much, Etsy has trespassed a threshold. If you pay someone to do that job, you might achieve even greater results instead of using people for your purposes. 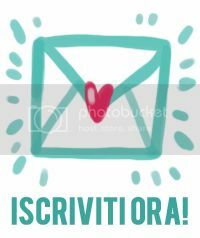 - HOWEVER we will stop as of now to advertise and promote Etsy in Italy. We are well aware that Etsy is mostly known here thanks to what we have been doing during the last 6 years. Althought this was our aim, the situation has now become unsustainable therefore we cannot continue as before without any decisive help from the company. We prepared the ground for Etsy to establish itself in Italy however at this point we cannot do any more. We have done too much already. NB. These are our personal considerations and as such don’t represent our team mates ideas. 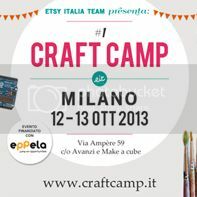 attended once again the Rome Maker Faire with 4 shops selected to represent Etsy at the largest maker faire in Europe. 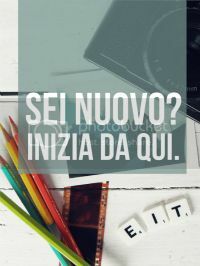 Ma io cosa ci faccio qui?